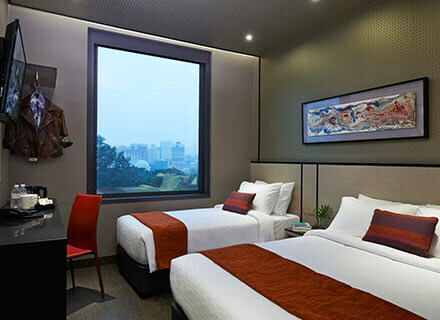 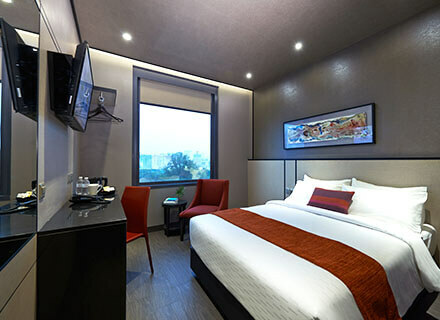 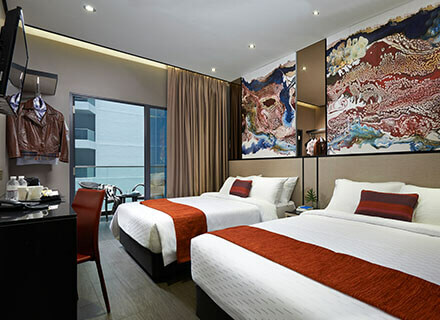 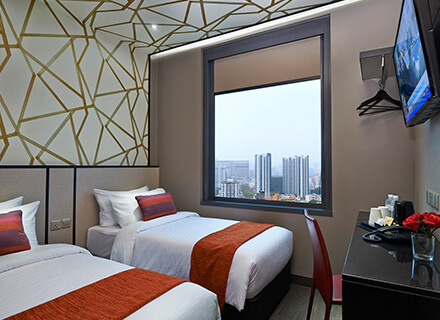 Hotel Boss offers a variety of accommodation options that cater to the needs of modern business and leisure travellers. 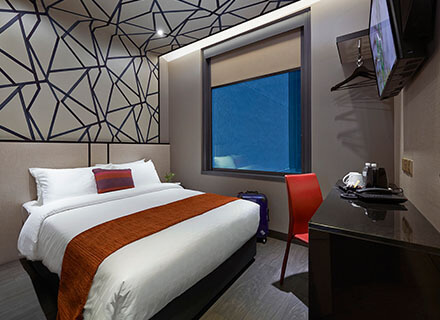 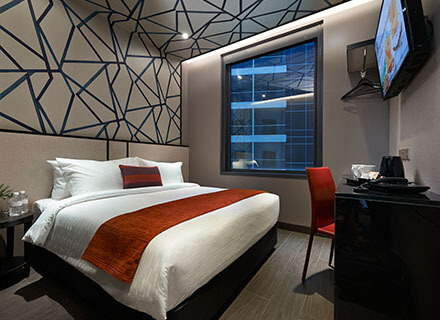 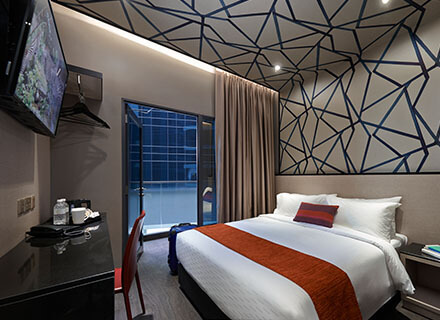 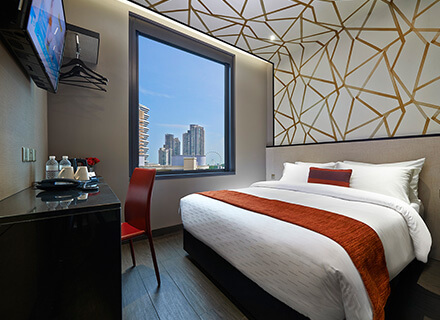 With 1,500 modern contemporary designed guest rooms and eleven room types, ranging from Standard, Superior, Twin, Triple, Family to Premier, you will be spoilt for choices. 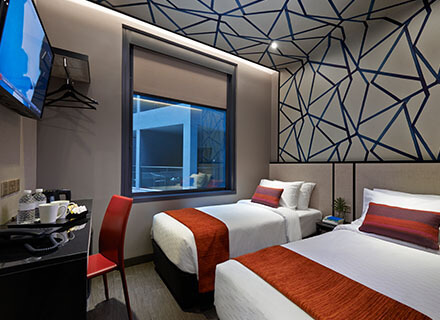 All rooms are equipped with complimentary high-speed WiFi access, internet-connected 40” LED TV with cable channels, USB charging port, electronic safe, mini fridge, coffee and tea making facilities, drinking water, hairdryer, dental kit and toiletries. 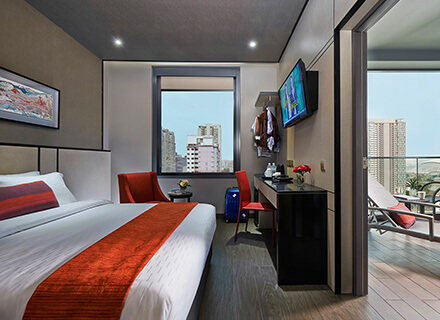 Every 40” LED TV (IPTV) are connected to the internet, giving you the ability to surf, browse web content as well as stream HD YouTube with access to hotel information, guest services and getting around the hotel. 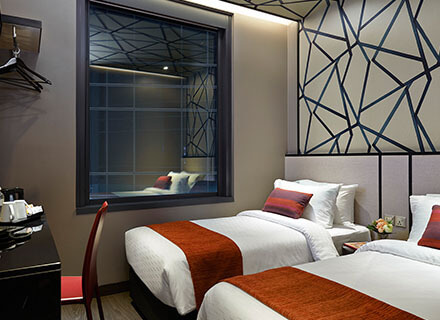 To create a comfortable environment for our guests, smoking in the room is not permitted.